I’m not putting a synopsis in this time. I, like most everyone who has seen this movie, knew exactly what it was about before going to it. My hubby didn’t know a thing, though, and I think it helped – he thought it was fantastic. If you somehow still know nothing about this movie, keep it that way before watching it. My review will be as spoiler-free as possible. This film has finally come out in the UK (along with all the other big Oscar nominees) so, therefore, I’ll be considering it a 2016 movie when I do my year-end lists in December. Then half the bloggers will go “that’s a 2015 movie!”. So annoying. 😉 I know I’ll be having to address comments like that once again, though, because I know already that Room will still easily be in my 2016 Top Ten by the end of December. It’s so good. As I said when I didn’t include a plot synopsis, I’ll try to remain as spoiler-free as possible but this won’t be an easy film to discuss without giving any idea what it’s about (the pictures will be a clue as well but I won’t include many). It’s one I’d highly recommend to any fellow movie bloggers who still haven’t seen it as it’s the exact sort of movie that us (often misunderstood!) cinephiles can truly appreciate. It doesn’t assume its audience isn’t smart enough to fill in some of the blanks and it leaves just enough not fully explained and/or explored, leaving the audience to think about the movie afterwards and to wonder how they may behave in similar circumstances (as crazy as it may seem, it is a real thing that happens). This movie may also be a “drama” but it’s not one that plays up to that fact. There are no over-the-top melodramatic moments that feel fake or contrived, which is something that drives me nuts about a lot of films. The characters feel like very real people who happen to be in a situation that most of us can, luckily, not even begin to imagine. I know this was a book but it’s one that I wasn’t at all aware of until now. After the film, I looked it up to make sure it’s up for best adapted screenplay (which it is – I was happy to see that). That’s when I noticed that the novel’s author also wrote the screenplay. Well, she did a fantastic job so I now really want to check out the book as well. I think a novel’s author should also write the screenplay more often if this is the kind of result. I think one sign of a really good film is how much it gets people talking about it afterwards. My husband & I discussed it for a pretty long time. We go to quite a lot of movies but, most of the time, we have very little to say. Well, we’re big movie fans so we perhaps don’t really count anyway – we discuss movies more than the casual cinema-goers. But a lot of the time I’ll come out of a movie and, if people are even discussing the film at all, they never say much more than “that was good” or “that was bad”. This time there was a woman who clearly wanted to discuss it with everyone who walked by. I thought it was quite cool to see that for a change! She asked people if they’d just seen Room and said how fantastic the kid was and that she’d not felt anything like that for a kid in a movie since Kramer Vs Kramer and The Champ (oh, yes! a Ricky Schroder mention in 2016! made my day!!). As we left, I saw that she’d gone over to discuss the movie with those working in the cinema. It was just great to see such public enthusiasm for a film that so genuinely deserves a lot of praise. 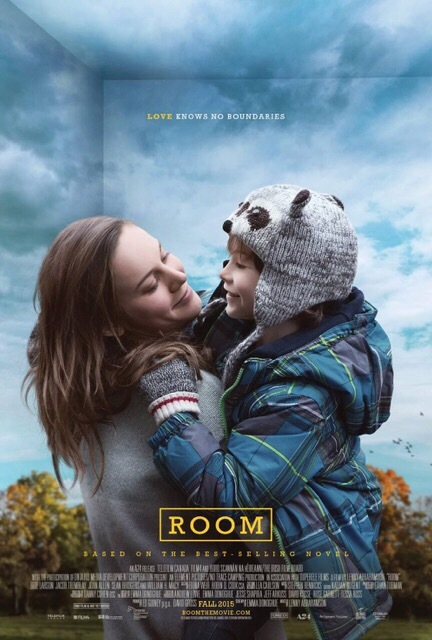 Onto the acting (as mentioned by the lady at the cinema)… The performances in Room are superb – not only from Brie Larson (who very much deserves that Oscar nomination) but especially from the young Jacob Tremblay. Wow. The cinema lady is partly right – it’s up there with Ricky Schroder’s tearfest in The Champ in a way. However, it’s a much more understated & more “mature” performance than Schroder’s. It does make me wonder how you get such an outstanding performance from a kid so young. I assume some of the credit must also go to the director? So I’m very glad that he’s also up for the best director Oscar. It’s great when small films such as this one do get some recognition: It’s nominated for Best Film, Best Actress, Best Director & Best Adapted Screenplay. Excellent! But I’m not stupid – I don’t think it’ll get anything other than, most probably, Best Actress (I really wish Tremblay was up for Best Actor too, though – the Academy so rarely likes to nominate kids. What a shame). The little films like this never win much, though. But hopefully the big nominations will at least get this film watched by people who otherwise may have never even heard of it. It’s a film that deserves to be seen and should be seen. 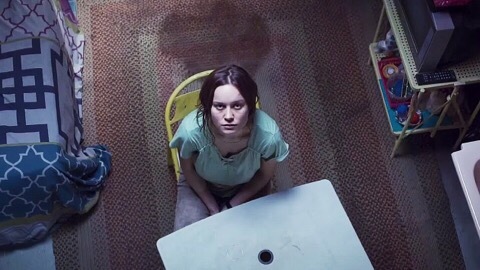 Room is only in its second week of release in the UK and I’ve only just managed to catch it (on a tiny screen where my local cinema shoves all the indie films that no one wants to watch, which means it’s unlikely to be showing anymore beyond this week). Why don’t people go to movies like Room? It makes me sad in a way, which is why I enjoyed hearing that woman talking so excitedly about it after seeing it. This is the kind of film that I want to experience more often. Yes, it’s a difficult subject matter but it’s handled respectfully and the film is very well written with characters who are so believably portrayed. 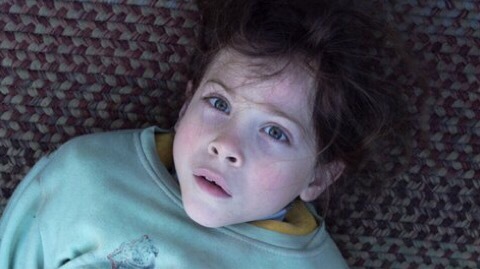 And Jacob Tremblay’s character may just make you want to look at life in a whole different light. Only the best movies can do that. Glad you and hubby enjoyed this. I love seeing movies without knowing anything about them. I really don’t like knowing much at all, I even avoid trailers. Thanks, Emma! 🙂 Wow – that’s really interesting about your brother. I’m still thinking about this movie since seeing it last Tuesday. It’s indeed very emotional. I’ve actually upped my rating since posting the review & am mentioning the movie again tomorrow as I think it deserves more recognition. I’d highly recommend it but it’s showing hardly anywhere anymore. What a shame – it’s absolutely fantastic. Yeah! I’m glad you loved it, it was natural and just so heartwarming. I don’t know how anyone can find fault with this film. I did – I really loved it. I’ve actually upped my rating a little. It’s the best film I’ve seen in a very long time. I wish there were more films like this being made! So I have never heard of this film nor seen any other reviews on it to my knowledge so I had to go on imdb and read all about it so I knew what you were talking about. lol Anyways, sounds like a good film. Will have to check it out. Thanks! 🙂 Yes – I’ve upped my rating as I’m still thinking about this one days later. Powerful stuff. It would easily be in my top three for 2015 if it had been released in the UK then. Best thing I’ve seen in years. Wow. Amazing review. I absolutely loved your analysis. You are spot in so many areas, specifcally regarding trusting the audience’s intelligence, and guiding us just enough. I love the running theme with the dog (3 times and each means so much – spoiler free). I like how you address the performances, and couldnt agree more. Tremblay will be seen again! Room is in my Top 5. You’re right, more folks should see this sort of movie. Thank you! 🙂 The dog theme (the three times) was great – heartbreaking then so uplifting. I’ve actually upped my rating on this as this movie is still playing on my mind so much almost a week later. I really wish they made films like this more often – it’s fantastic. Best thing I’ve seen in a long time. I totally agree. We need more character studies. It really is the beauty of cinema. We can imagine what it’s like for different people, and get inspired by how they can overcome obstacles. I really enjoyed spending some time inside their “skin”. Room was fantastic. In my Top 5! Great review. I really want to see this! And when was the last time anyone mentioned Ricky Shroder?! Oh Melissa – I SO recommend this film!!! I think you’d really appreciate it. I didn’t want to go overboard & rate it too highly but I’ve come back & upped my rating now. It’s one of the most powerful movies I’ve ever seen. Ha – I had such a crush on Ricky Schroder when I was a kid! Remember having pictures of him up in my room. Lol. I miss the 80s….. I simply love hearing from people who have such positive reactions to this movie. Big fan of it and that central relationship was so key. Thanks! And I love hearing from big fans of it. 🙂 The movie has gone up even more in my estimation (I’ve upped the rating) as I’m still thinking about it days later. It’s a truly amazing film. Soooo glad I saw it. Yes, that relationship makes the movie. Plus the performances from those two – they were just SO so good. Tell the truth – you were that woman! I cried a couple of times during Room. Not embarrassing crying but manly tears. Honest! Aww Mikey – you big softie! 😉 At first I thought you meant I was locked in a room but you meant the woman talking about this at the cinema, yeah?? Lol. Not me! I don’t talk to strangers in public. I’m totally anti-social. 😉 I have to say I almost lost it a few times during this movie but I don’t believe in crying in public! The closest I came to losing it was a very small thing but it really upset me for some reason. SPOILER if anyone is reading this… It was when the kid didn’t know how to walk down a few stairs (because why would he when he’d been locked in a tiny room for five years?). Ugh. This is easily the most emotional movie I’ve seen in a long time, if not the most emotional ever. So good, though. Really good review and an enjoyable read. 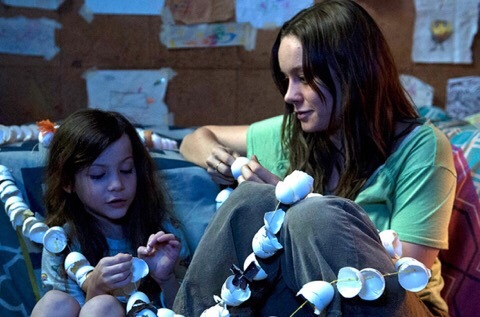 I thought ‘Room’ was brilliant, one of the best of 2015. This one holds a place in my top 20 favorite movies of all time. What a ride.